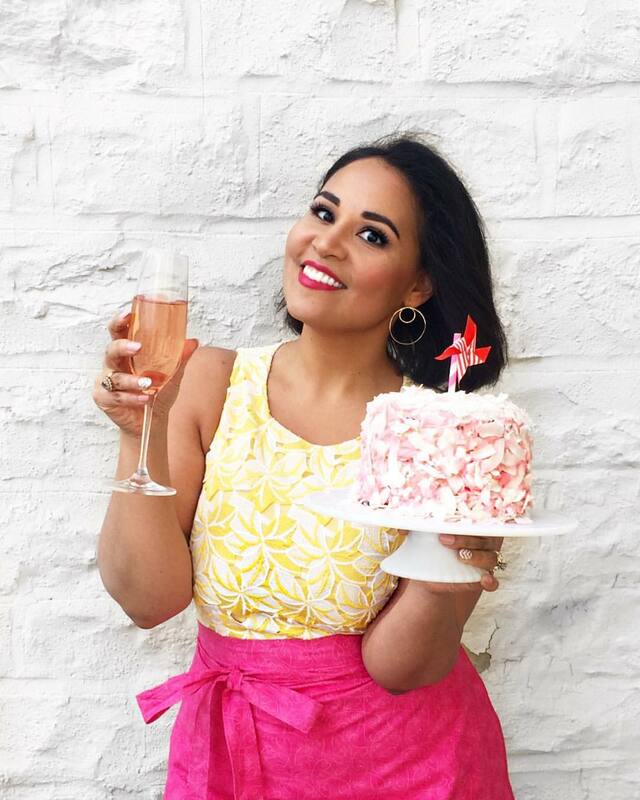 My favorite go-to ingredient? Chorizo! I love using it in just about everything (well...I haven't quite delved into the word of chorizo sweets, but give me time!) 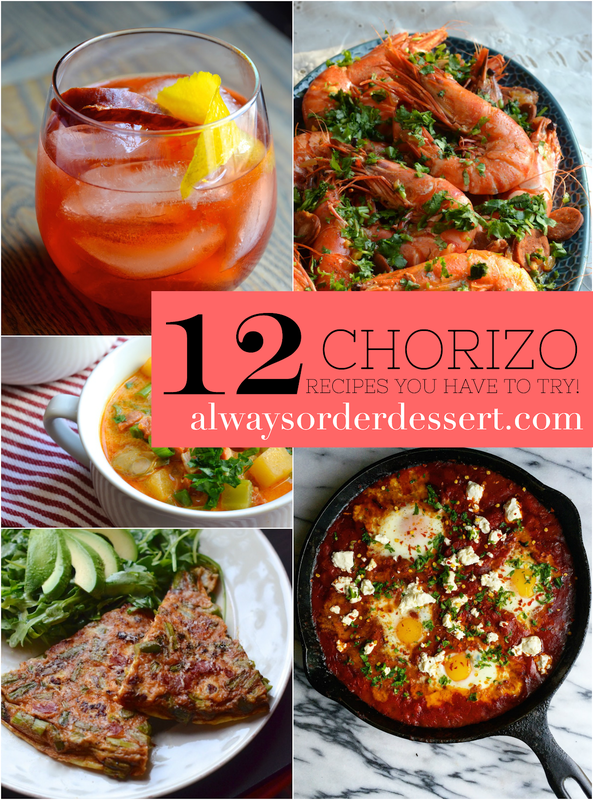 Here are 12 of my favorite recipes that feature chorizo--from breakfast to dinner, and even a chorizo cocktail for the true fanatics. Scroll down, get inspired, and make something spicy! 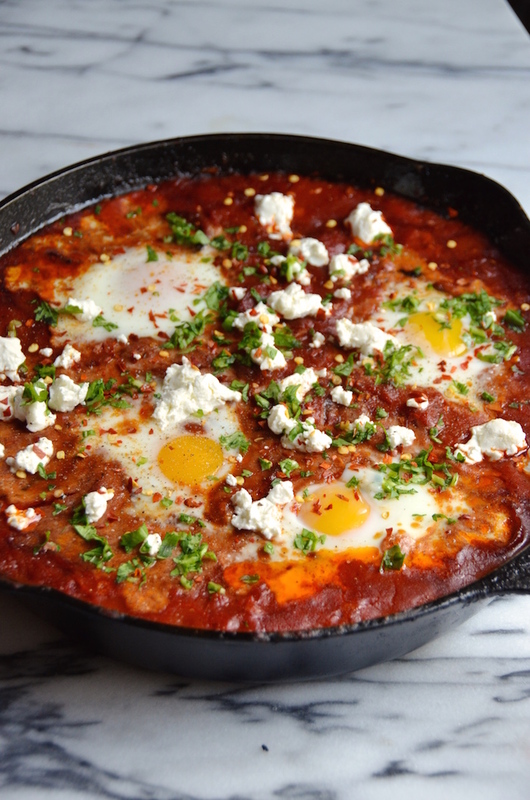 Spicy chorizo adds heat and brings out the smokey flavors of this favorite egg and tomato brunch dish. This one works well with either Spanish or Mexican chorizo, but I'm partial to the former. A cocktail for my fellow chorizo fanatics! 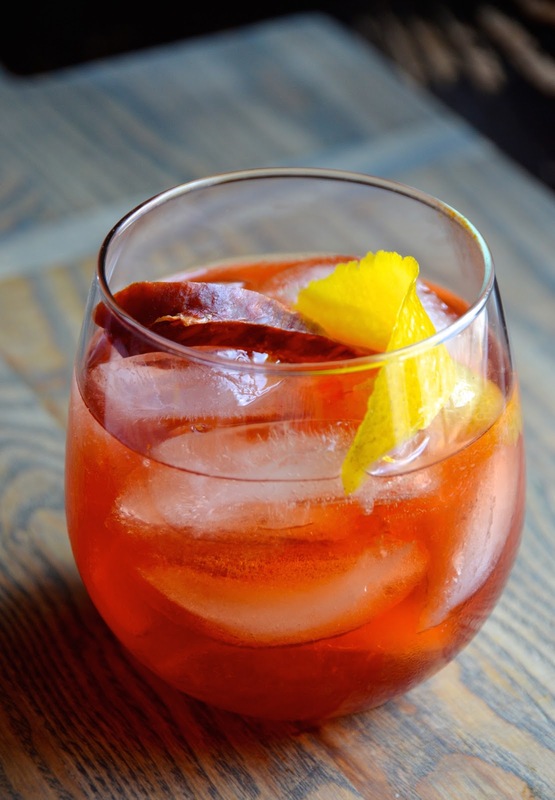 Learn how to infuse gin (or really any spirit) with smokey cured Spanish chorizo, then use it to mix up a meaty twist on the classic Italian drink. 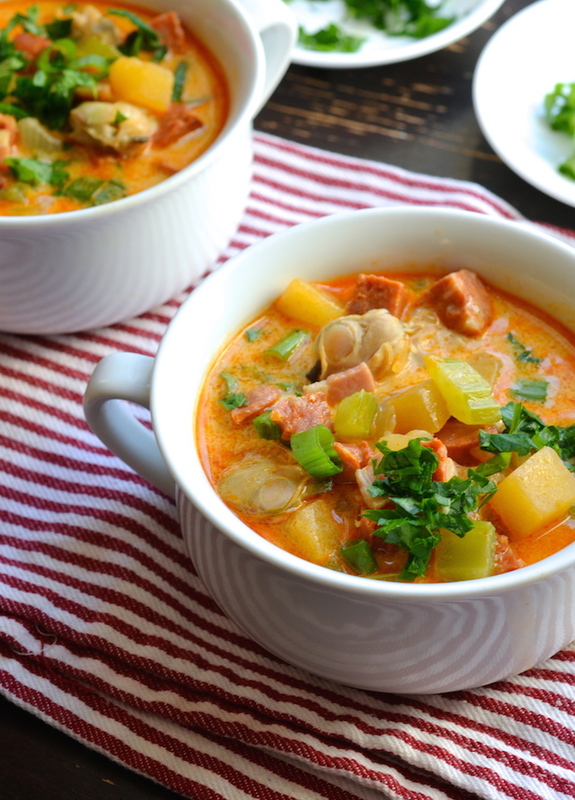 Thick slices of Spanish chorizo are a natural pairing for briny clams in this spicy clam chowder. 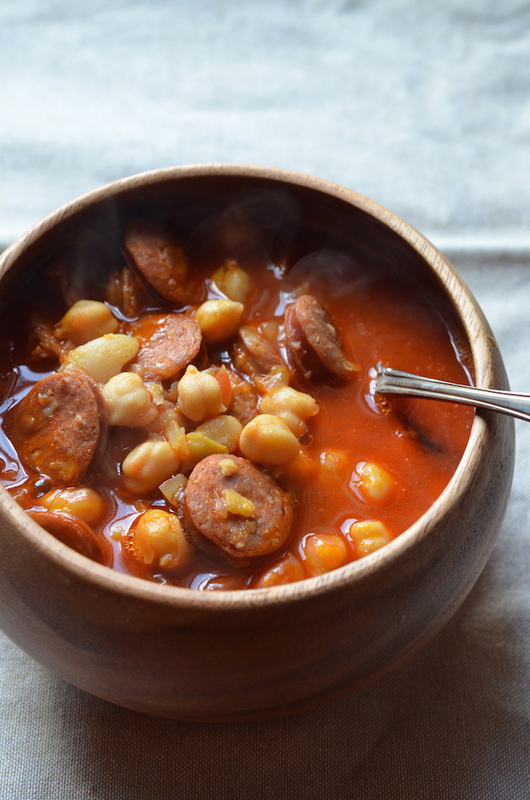 My other favorite chickpea soup is a version of a classic Spanish soup. The chickpeas keep it hearty and protein-rich, while the chorizo adds tons of flavor. Make a big batch of this one early in the week to enjoy for quick meals on chilly days. This is a messy dish that's made for sharing. 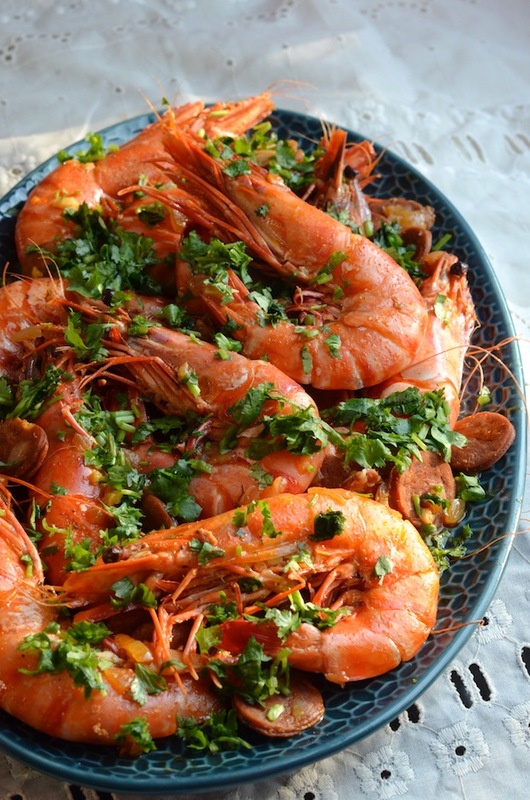 Giant whole shrimp are cooked in a flavorful chorizo-scented broth. Make sure to serve with crusty baguettes or sourdough rolls for dipping! 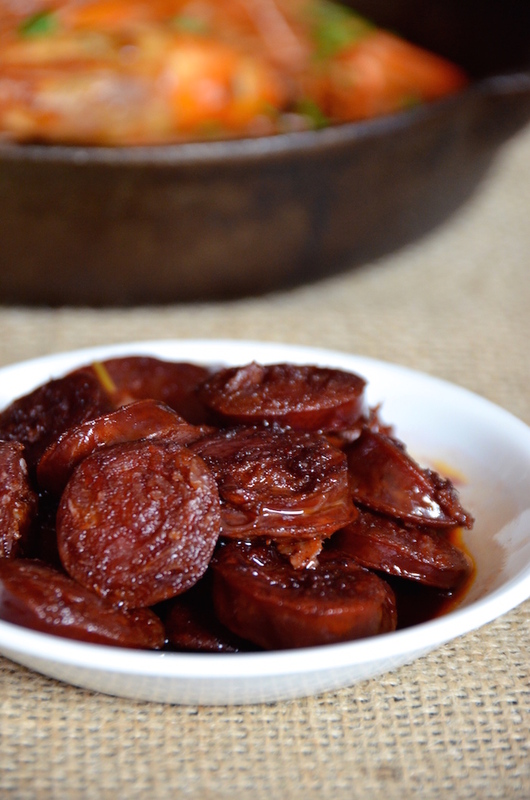 This classic Spanish tapas dish is probably one of the first ways I enjoyed chorizo as a kid. 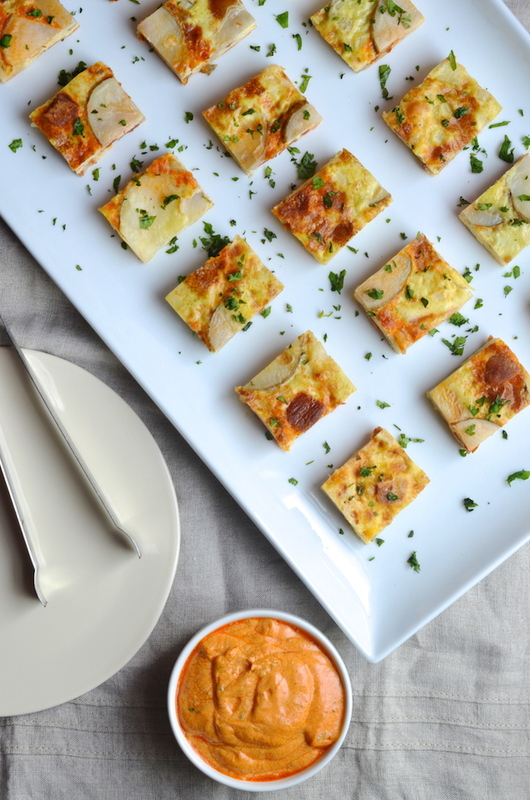 You only need a few minutes and a handful of ingredients to pull together this perfect party appetizer. Serve with toothpicks and pieces of bread for wiping up the flavorful sauce. 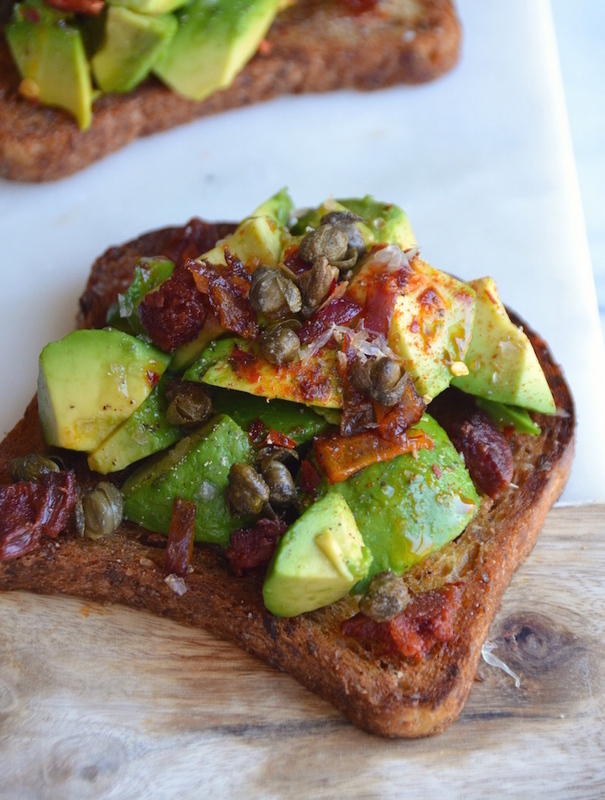 Nobody really needs a recipe for avocado toast (I mean...the name is the recipe, basically), but this one gets kicked up a notch with bits of spicy crispy chorizo. This works for breakfast, as an easy lunch, or just a perfect anytime snack. This is a version of a dish I first enjoyed in Barcelona a few summers ago. 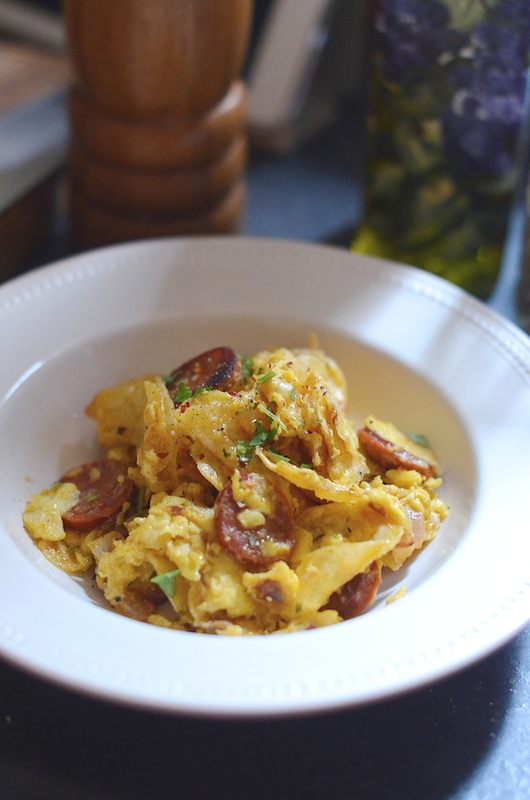 Potato chips take the place of freshly cooked potatoes, while the chorizo does what chorizo always does...make the whole dish taste incredible! 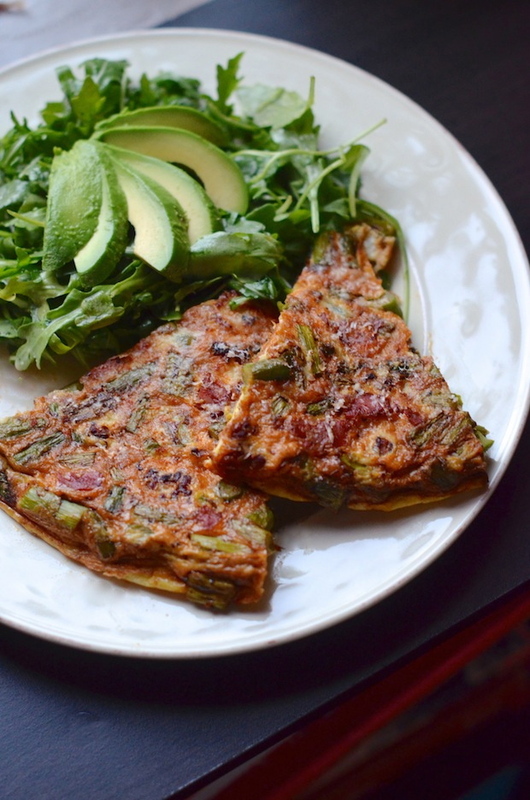 If you prefer a slightly more conventional breakfast dish, give this one a try. The asparagus adds a fresh, springy counterpoint to the already perfect combination of chorizo and Spanish manchego cheese. 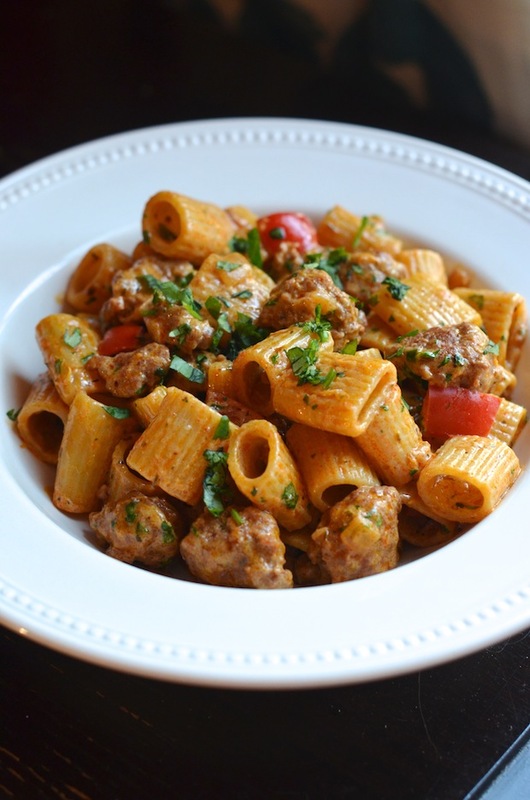 This is a spicy and hearty pasta dish that everyone will love. Mexican chorizo forms the base of this spicy pasta sauce that's enhanced with cotija cheese, chipotle chilies, and fresh cilantro. Another classic! Can't do a chorizo roundup without also featuring a chorizo version of the traditional Spanish egg and potato omelet. I love this salty-sweet combo of savory and spicy chorizo (I used fresh Mexican chorizo for this one!) with sweet tates and crunchy pine nuts. 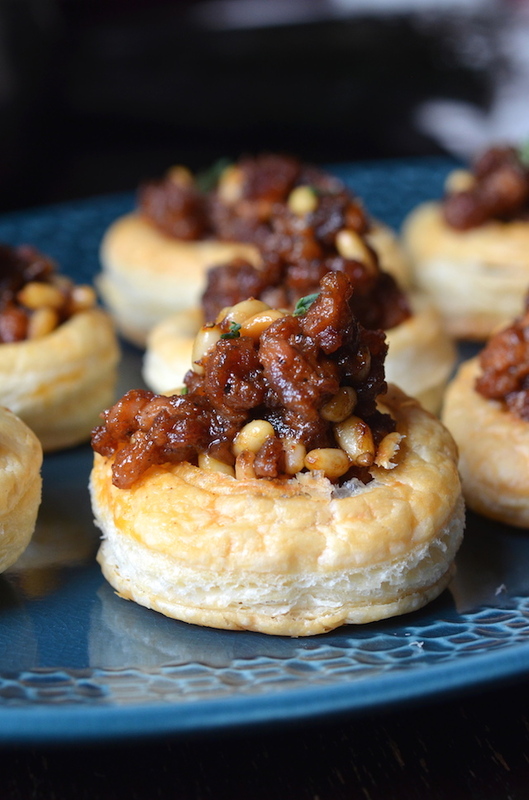 Super fun and easy party appetizer!